Do You Have a Sagging Mattress? How many should I purchase? Will Mattress Helper increase the life of my mattress? How to place under the bed? 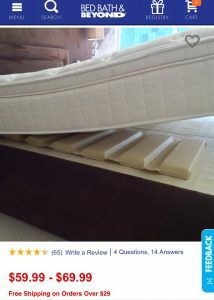 Where is Mattress Helper made? Is there a warranty on Mattress Helper? Is Mattress Helper environmentally friendly? After selling on BedBathandBeyond.com for almost 3 years, Mattress Helper is excited to announce that it will also be sold through BedBathandBeyond.com Canada. Every day we hear from customers that they wish they could find our under mattress support where they live in Canada. BedBathandBeyond has listened to its customers and will now be featuring Mattress Helper through their Canadian online shopping website to make sure that these customers sleep better at night with our highly acclaimed product. Why spend thousands of dollars every few years for a new mattress and box spring when it will only sag too? 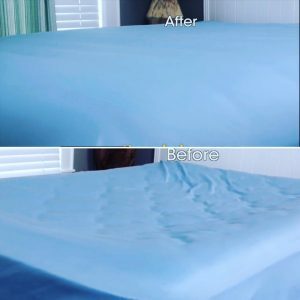 Save your money and your back and sleep comfortably with a mattress made new again with the Mattress Helper. Happy Holidays from Mattress Helper! Bed Renew coming to QVC! Couch Helper coming to HSN! Mattress Helper is coming to Macy’s soon! Colleen Franken on Mattress Helper sold at a local BedBath&Beyond store near you! next bed on Mattress Helper sold at a local BedBath&Beyond store near you! extra deep mattress protector super king size on Mattress Helper sold at a local BedBath&Beyond store near you! 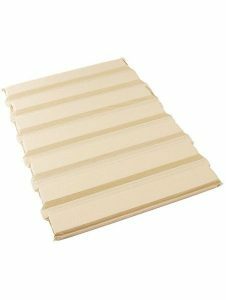 Why use Mattress Helper for mattress support?